Friend of Swoop, Juan Carlos, is an architect turned social enterprise entrepreneur. 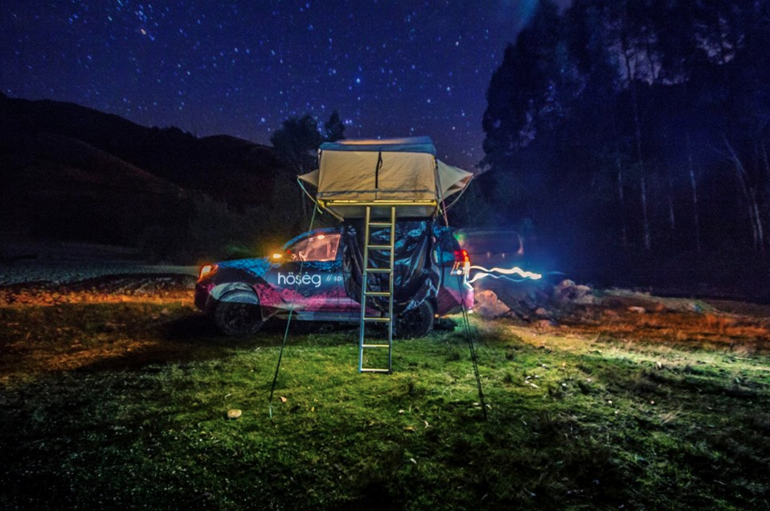 He tells the story of how and why he and his brothers set about selling outdoor wear that benefits communities in the high Andes. 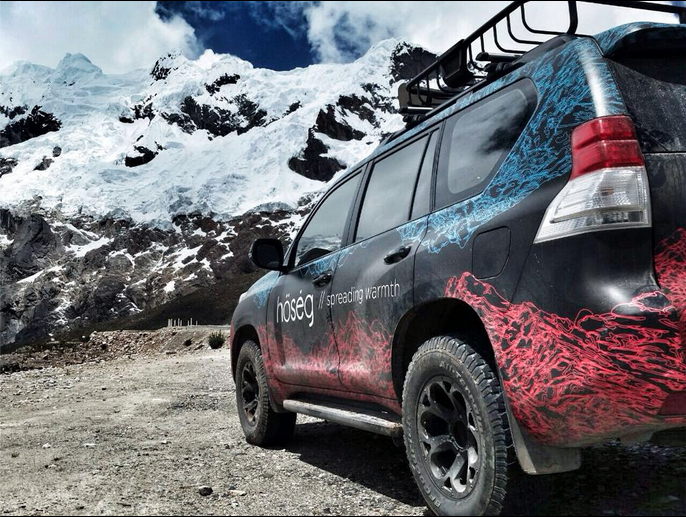 This is the story of three Peruvian brothers. While on a trip in the Peruvian Andes, my brothers and I got to experience first hand the harsh reality in which these high Andean communities live in. We decided we had to do something, something that would alleviate this recurring event, the “heladas” (cold winter frost), that takes so many lives and affects so many people. More than 8 million Andean people are affected every year by this events, including approximately 1.85 million children between the ages of 0 and 11. The “heladas” expose these communities to temperatures of -20 degrees celsius, and this year, they have announced record temperatures of -28. 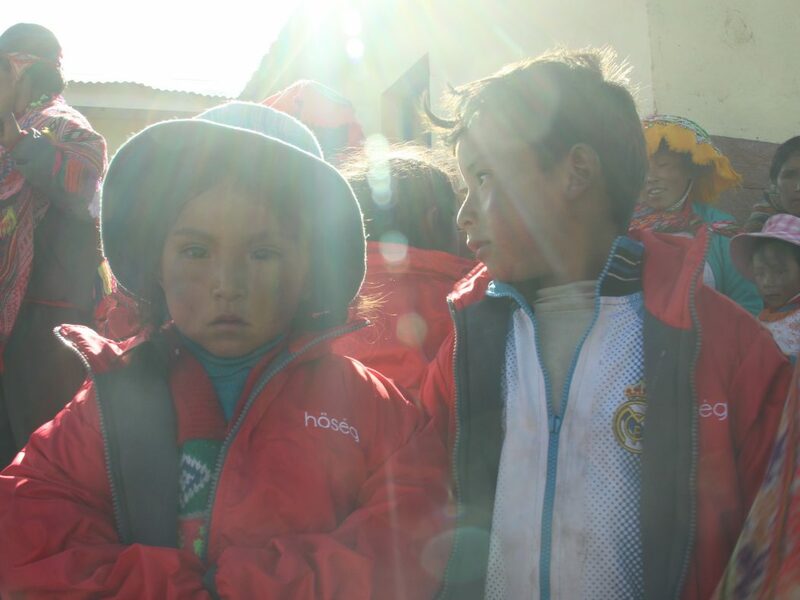 Once we came back from our trip we came up with the idea of creating a brand of high quality jackets, with an innovative business model that would somehow help protect these children from the harsh weather conditions they are exposed to. In 2014 Hösėg was born, a for profit social enterprise that works under the “Buy One, Give One” model. 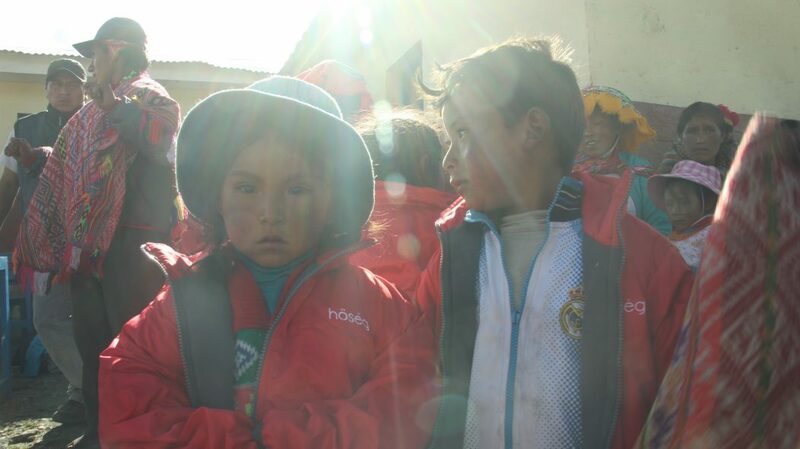 For every jacket bought, Hösėg gives one for free to a child in the High Andean communities. It is for them that Hösėg exists. 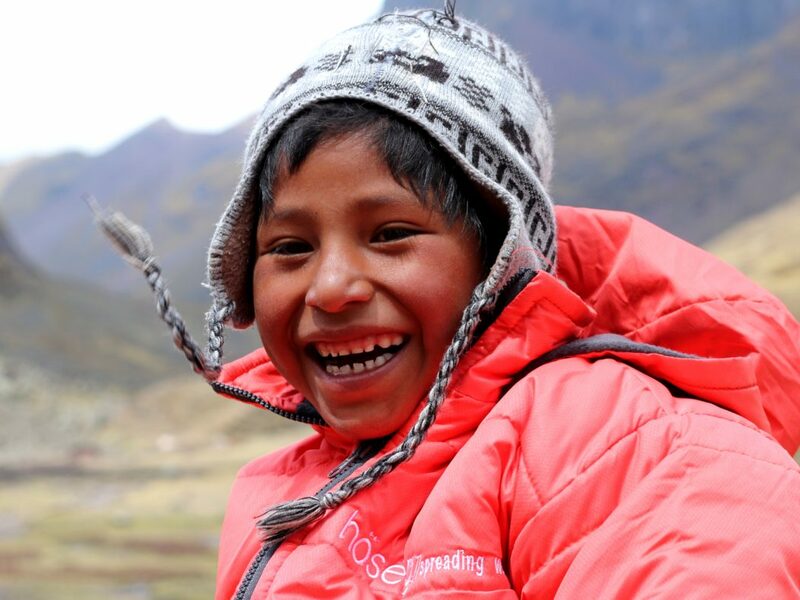 Our purpose is to improve the quality of life of children in these communities and working constantly in innovative solutions that will help spread warmth in the high Andean areas. After two years piloting the project, in July 2016 we launched our first commercial line of jackets, vests, t-shirts and accessories. 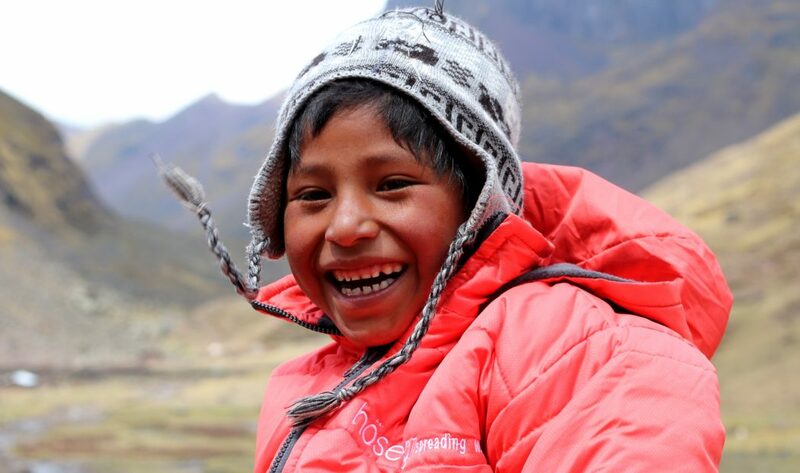 By March 2017, we’d already sheltered 3,781 children in 54 different high Andean Peruvian communities. There is a long road ahead though as we have set ourselves the target of helping 1 million children by 2020. Hösėg, however, is more than just a brand that shelters children of vulnerable communities. It is a brand concept that seeks to promote consequent consumption and production and to create positive impact throughout their value chain. For instance, the Campos Family, a local family that moved to Lima in search for a better future, produce the jackets that shelter these children. Hösėg supports this local production and provides mentorship programs so they can grow organically and get more business. In addition, some of these high Andean communities are hard to access so Hösėg rents llamas from these communities to help transport the jackets, providing them with additional income and lessening their negative impact on the ground as other means of transport such as vehicles, horses and donkeys. Hösėg also works with artisans from these communities that provide Hösėg with key items such as the side label that goes in all of their clothes. Our most recent project, ‘buy one, plant one’, plants an endemic Andean tree for every t-shirt or shirt sold, broadening their company impact beyond the social and into the environment. Although it doesn’t sound like much, these projects support decent job creation, additional income, ecosystem survival, and help maintain sustainable communities. Hösėg’s philosophy and organisational culture is based on the firm belief that the logical way to do business is by incorporating the planet and the community into the business model. Hösëg has re-affirmed that organisational value by becoming one of the first Peruvian companies to be a B Certified Corporation. B Certified Corporations need to meet rigorous standards of social and environmental performance, accountability and transparency and need to commit to continuous and innovative improvement in their triple bottom line. Hösėg does not only seek to make an impact in a child’s life but seeks to make an impact in society and the environment as a whole, while running a profitable business. We want to be a social enterprise that promotes consequent consumption and production and to do so we have set the next challenge; launching a responsible clothing line in 2018 made from recycled fibres, organic cotton and fair trade materials. Hösėg is not interested in just being another clothing brand, another jacket you have in your closet. We believe that Hösėg is not just a brand, but a movement, not just a product, but an action! We like to define the category as collaborative outerwear. We want to be a responsible clothing brand that makes you feel and look good, because we always look good when we help. Juan Carlos, better known as Juanca, is an architect who worked for almost 15 years as a filmmaker for the advertising industry and ended up as an entrepreneur in a for profit social enterprise. As a director at Hösėg, he uses his energy to redefine the economy by thinking not only about profit but also about our planet and our people. Addicted to nature and adventure sports, he’s a surfer, biker and trekker. Traveling is one of Juanca’s main goals in life. His true love is his family, his amazing wife and two adorable kids.